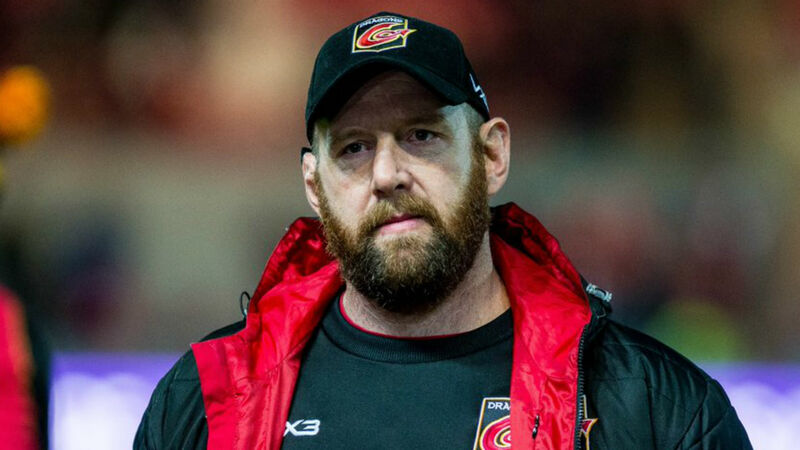 Ceri Jones will remain head coach of the Dragons until the end of the season. Jones took the role on an interim basis after Bernard Jackman was sacked last month. The Pro14 club announced on Monday that the former Wales prop is to stay on in the top job while the hunt for a permanent successor to Jackman continues. Dragons chairman David Buttress said: "Ceri Jones has done a great job leading the team with the support of our coaching group since he stepped up to the role. "Ceri has the full support of everyone at the region and it's clear the players are reacting positively to his leadership with performances full of heart, character and determination. "We said before Christmas that we want to make a permanent appointment as soon as possible, but also that it has to be the right person for the region. "Whilst the search for the permanent head coach is under way, our upturn in performances since Ceri took over has given us the opportunity to take our time. "I'm looking forward to seeing what we can achieve over the final months of the campaign."